Applications and industries such as oil and gas gathering, brine and salt water service, landfill methane recovery, and crude oil collection are among the various names that can benefit tremendously from the use of Performance Pipe Driscoplex 6400. The pipe adheres to ASTM D2513 specifications as well as API 15LE requirements. Driscoplex 6400 is available in a multitude of sizes, as large as 36” IPS or even lengths of up to fifty feet. It is able to be used in scenarios such as above ground service and it can also protect against UV rays and elements exposure. In direct burial scenarios, it is essential to follow proper installation procedures. For optimum results, strongly consider using coarse, angular sand and gravel. 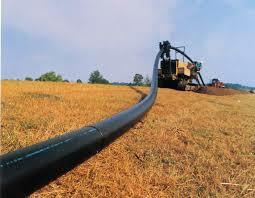 The Driscoplex 6400 series is part of the various Performance Pipe solutions you can learn more about through us. We also provide the 4000 and 4100 series, the 1700 series, and 3100 series, among our broad pipe products. Please contact us and we’ll gladly discuss options and which pipe solution works best based on the needs of your project.